SKU: ST873. Category: New Additions. 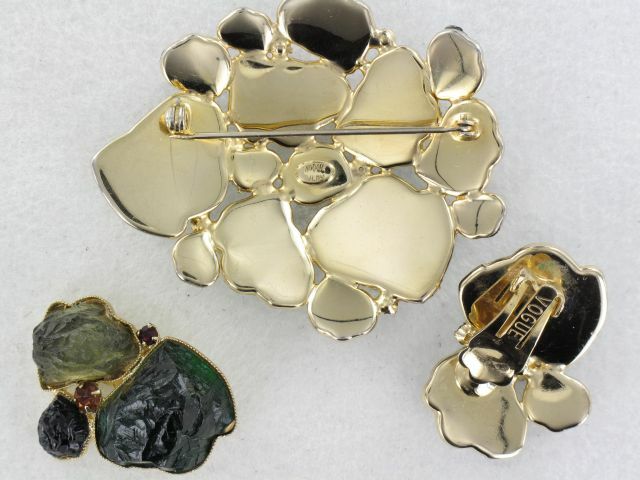 Spectacular Multi-Colored Glass Lava Rock Molded Art Glass VOGUE Pin and Earrings Set. 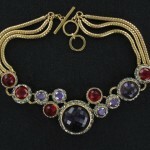 This Vogue set features molded glass “lava rock” stones in varying sizes in gold tone settings. 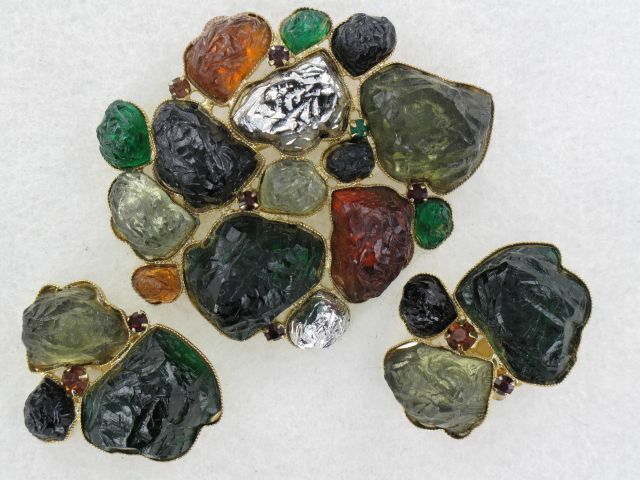 These stones are bright and dark emerald green, topaz, very pale olivine green (almost gray), black and metallic silver. 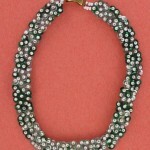 Tiny red and green rhinestones aa sparkle to the large stones. The brooch measures 2.5″ by 2″ and is almost 1/2″ in depth. 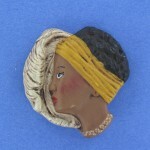 Matching clip-back earrings are 1 3/8″ by 1″. Broch is marked: Vogue Jlry and the earrings are simply marked Vogue. 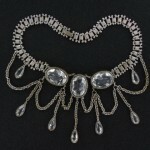 The is wear to the silver coating on one of the brooch’s stones. All other elements are in excellent condition. Excellent condition.